If you have a bank credit card, you could be paying rates of around 20%. No monthly fee. No annual fee! * Terms, conditions, fees and charges apply and can be obtained from First Option. Loans subject to normal eligibility criteria. After the first 6 months, the interest rate will revert to the standard variable rate. 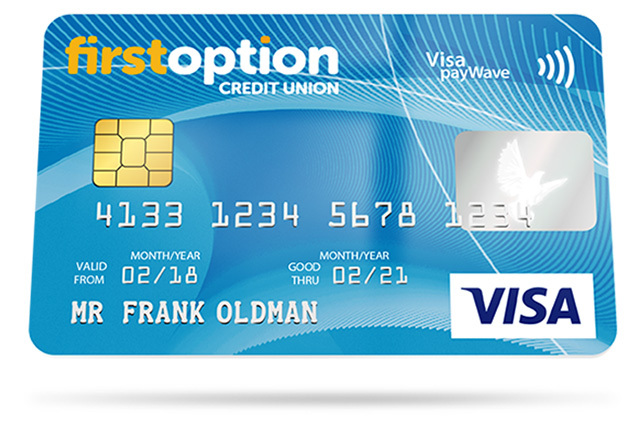 # This benefit applies to new and existing First Option Low Rate Visa Credit Card accounts, effective 1 December 2018. The above product is provided by First Option Bank Ltd ABN 95 087 650 735, Australian Credit Licence number 236 509.